We’re always happy to receive applications from skilled sheetmetal workers, roofers and roofing plumbers experienced in the fabrication and installation of metal roofing and cladding. 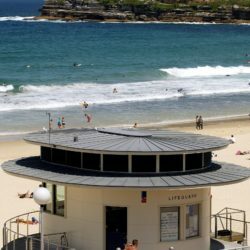 We are an established metal roofing company with our own fabrication facility based in the northern beaches of Sydney. We specialise in roofing, cladding and rainwater systems in copper, titanium zinc, stainless steel, aluminium, Colorbond® and Zincalume®. We use standing seam and other profiles for roofing and wall cladding. We also fabricate, supply and install rainwater systems and other metal interior and exterior design products. We’re seeking an experienced sheet metal worker, who enjoys the work and is looking for long term employment within a friendly team environment in the Northern Beaches of Sydney. Previous experience within the metal roofing and cladding industry is highly regarded, however if you are experienced and comfortable with machinery and have worked with similar machinery in a fabrication environment, please apply. If you are a hard-working, reliable worker who enjoys a challenge and takes pride in a job well done, apply now for an immediate start. Salary will be negotiated on experience. Full time sheetmetal apprentice wanted for an immediate start on the Northern Beaches of Sydney. We have an exciting role for an experienced tradesperson to work as a Site Supervisor overseeing the installation of metal cladding and roofing. This is a role you can make your own and an excellent salary is on offer for the right candidate. Immediate start. Product knowledge and experience – A minimum of 10 years’ experience in installing non-ferrous and ferrous metal roofing and cladding. Skilled Craftsmanship – Takes pride in delivering exceptional work while keeping to strict deadlines. Managerial ability – Excels at interpersonal, managerial and organisational skills. Team management and project coordination skills – Can coordinate projects and team members from inception to final installation, leading by example and keeping the team motivated. Highly developed standards – Can implement, adhere to and monitor safety standards and procedures. The majority of our sites are located in or near Sydney, however you may at times also be required to work in greater New South Wales, Queensland or other parts of Australia. Your language skills. We do speak Danish and German, but a reasonable level of English is still required. We have a position available for an enthusiastic roofing apprentice. Immediate start. We would like to hear from you if you have 2+ years experience in the installation of metal cladding and roofing and are now looking for a change or to make a move to Sydney. This is a job with prospects for long term career growth. We are an established metal roofing company based in the northern beaches of Sydney backed by our own fabrication facility and working with non-ferrous and ferrous metals – copper, titanium zinc, stainless steel, aluminium, Colorbond® and Zincalume®. We specialize in standing seam profiles and numerous other profiles for roofing and wall cladding. We also fabricate, supply and install rainwater systems and other metal design products. The majority of our sites are located in or near Sydney, however you may at times be required to work in greater New South Wales, Queensland or other parts of Australia. With our Danish background, we understand the high level of training undertaken by many European trained candidates. We invite applications from European and other non-residential roofers, roofing plumbers, Spenglers or Master Spenglers skilled in the installation of zinc, copper and aluminium roofing and wall cladding. We can arrange sponsorships (457 visas) in Australia for the right candidates and have successfully sponsored many European men and women over the past decade. If you’ve always wanted to try life near the beach in Australia, now is the time. Explore our available positions and make contact with us via email at info@metalbenz.com.au.